ICPA is an innovative, learning platform which enhances international and inter-agency co-operation. We actively promote policies and standards for humane and effective correctional policies and practices, assisting in their development and implementation. Attend SAP TechEd, the premier technology event for learning, networking, training, and education on the SAP platform and technologies. The Virginia Sheriffs’ Association (VSA) has been in the forefront of the legislative process in many significant ways that affect the office of sheriff. Proud to be a Corporate Sponsor! The American Probation and Parole Association (APPA) is an international association composed of members from the United States, Canada and other countries actively involved with pretrial, probation, parole and community-based corrections, in both criminal and juvenile justice arenas. 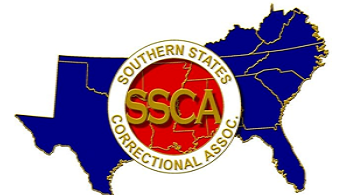 Using a number of information-sharing modalities, ASCA brings to each member the cumulative benefit of the knowledge, experience, and ideas among all of its members, thereby continually improving the corrections profession. Happy to Sponsor this Event! Our 146th Congress of Correction is an engaging, thought-provoking, six-day event offering multiple ways to network with industry professionals, find a mentor, get a sneak peek at emerging technology, and hone your leadership skills. Proud to be a Gold Sponsor! MASCA is the leading regional interdisciplinary organization for professionals in the related fields of probation, parole, juvenile justice and corrections. They are the regional affiliate for both the American Correctional Association and American Probation and Parole Association. Proud to be a Contributing Sponsor! Cleaner Heat 2016 is an eco-friendly event sharing the eco-consciousness value. Proud to be a Silver Sponsor!